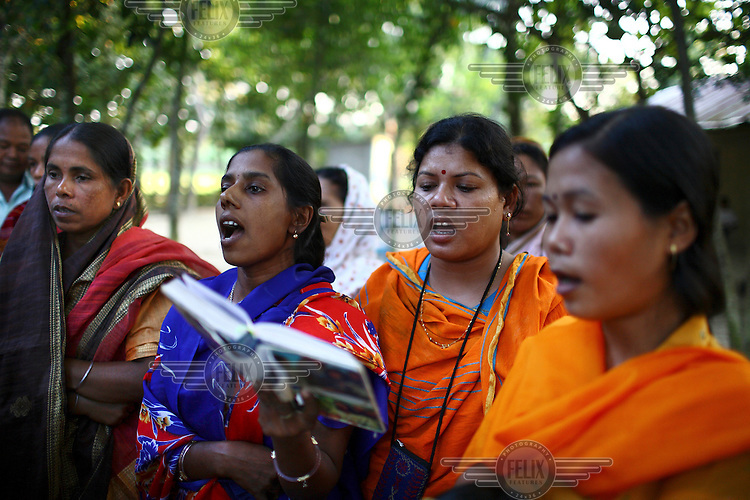 Garo women sing hymms during a graveside procession, led by members of the St Paul's Catholic church, in memory of the community's dead. The Garo (or Mandi, as they refer to themselves) are an ethnic minority thought to be of Tibeto-Burmese origin. Prior to British rule they were mostly anamists but missionary work led the majority to convert to Christianity. The Garo of the Madhupur forest have long been under the threat of eviction by the government and the forest that they gain much of their livelihood from is being rapidly destroyed by unregulated logging.